If there is one blogger we’re a little jealous of, we have to admit it would be Joel Henriques of Made by Joel. He never ceases to amaze us with his endless supply of uber creative and flawlessly executed crafts, many of which are created with found objects and repurposed materials. 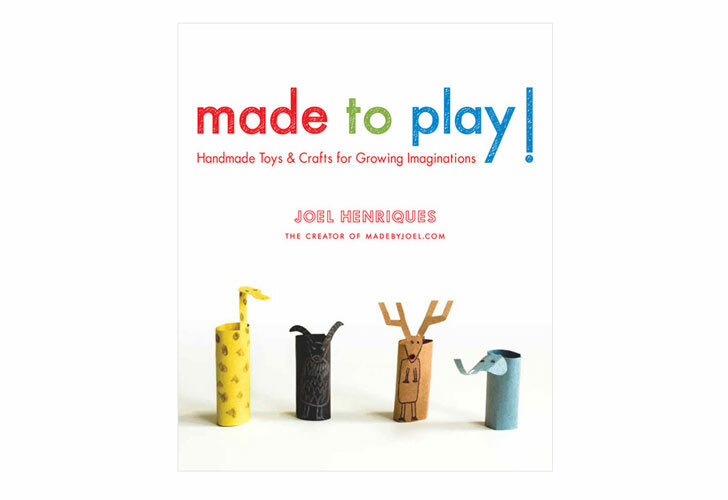 Now you can get all of Joel’s crafty wisdom offline in one fantastic book of handmade toy and craft how-to’s: Made to Play. Inside you’ll find beautiful photographs and step by step illustrations to help you create 35 projects using paper, wood and fabric, including a scrap wood dollhouse, wooden spool birds, a bottle cap tambourine, a rubber band race car and a record sleeve art tote. Happy crafting!